CONSORT diagram of disposition of study patients. 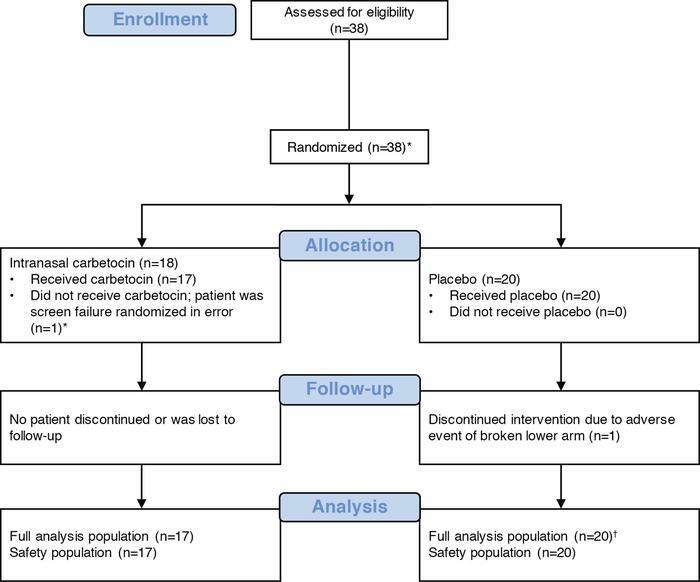 *One patient who did not meet inclusion criteria was mistakenly randomized to treatment with carbetocin but did not receive any study medication. †A total of 19 patients in the placebo group completed the study; however, 1 patient who discontinued the study because of an AE (broken lower arm) was included in the full analysis population and participated in the final efficacy assessment on day 15.